A SOUPer Secret Is Out! 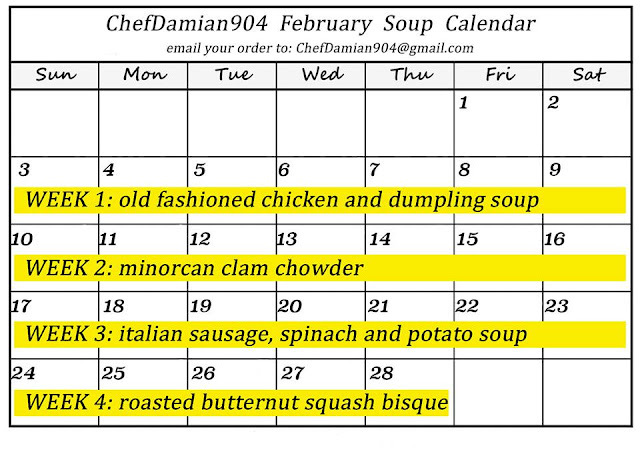 Chef Damian Kemper has been warming the bellies of many happy households lately with his homemade soups. These soups are perfect for lunch, dinner, or your freezer and are made weekly with love in a commercial kitchen using only the freshest and local ingredients available. 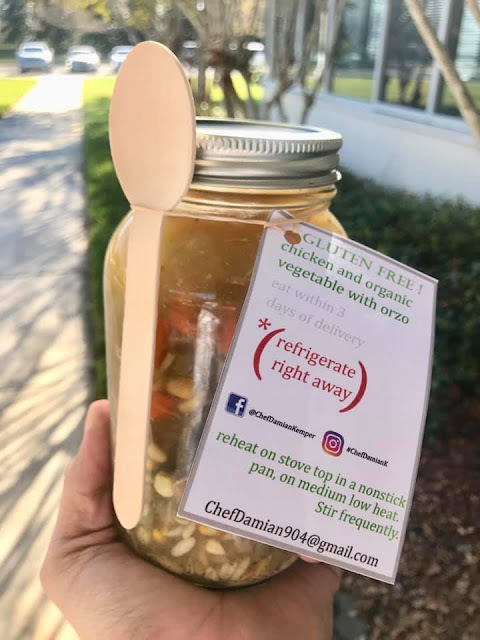 The savory soups come in quart sized glass jars with wooden spoons and would make an adorable gift for yourself or others- hand delivered weekly like the good ole days! Ordering is easy via Facebook messenger, through submissions to their website, or by email. Free delivery is offered within St. Augustine city limits and outside of town it is a 2 quart minimum plus a nominal delivery fee - Chef even goes to parts of Jacksonville and delivers himself with a smile! They offer 1 soup per week delivered to the location of your choosing- so it can be work, your home, or as a surprise gift for someone who needs a yummy smile. Instantly ready to be heated! I was so lucky to win a chance to sample soup for 10 weeks from Chef Damian! 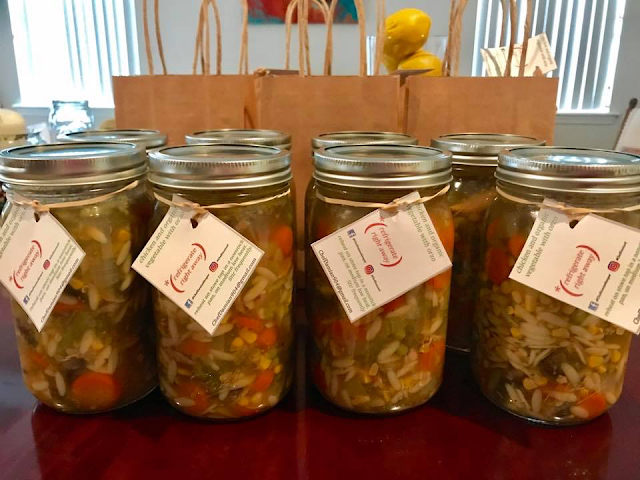 I entered and won a philanthropic contest (just a $5 donation per entry) from the popular foodie group Auggie's Fresh & Frightening Food Reviews and am receiving 10 quarts of Chef Damian's soups this "winter". Side note- I have not received any compensation for this post nor was I asked to write this, it was completely my personal choice based on my positive experience. 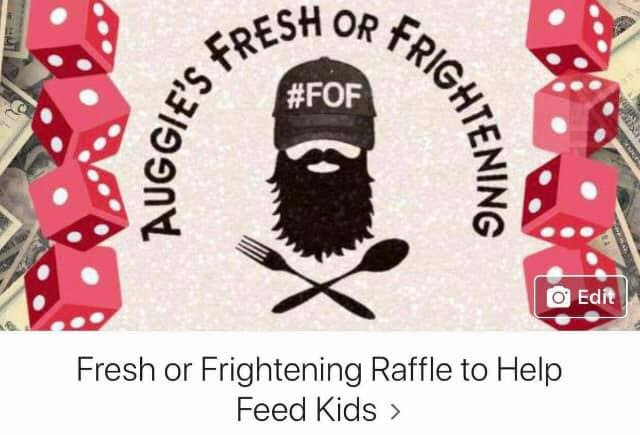 Auggie's group is affectionately referred to locally as #FOF and is made up of thousands of locals and visitors sharing experiences, photos, and advice on local restaurants in the area overseen by St. Augustine's 2018 Man of the Year, James Taylor. James helped setup a donation option to enter some local foodie giveaways that benefits hungry children and also benefits local restaurants to gain some exposure and new customers- thus my learning about this awesome chef and his services. This week's Italian Sausage & Lentil Soup arrived right at the prescheduled time and day and it was ready to go right into the fridge as it had already been chilled down. I spent the afternoon debating how long I could wait to crack it open for us for dinner. It didn't take long to decide that after the rain and chilly winds today, that soup needed to be rescued pretty fast. The soup was chock full of just the right amounts of sweet Italian sausage, tomatoes, celery, carrots, onions, corn, garlic, and zucchini along with a delightful herb blend that was absolutely perfect in ratio and not at all spicy or oily. I consider myself a bit of a soup connoisseur and happen to be extremely light on my salt instake usually and this did not go overboard like you might find in a can or at some restaurants. There was plenty for two people and still enough for a bit of lunch tomorrow (if it lasts that long which I doubt). Everything was sauteed and simmered just right and still had individual exact flavor in each spoonful. It was easily the best lentil and sausage soup I have ever had. 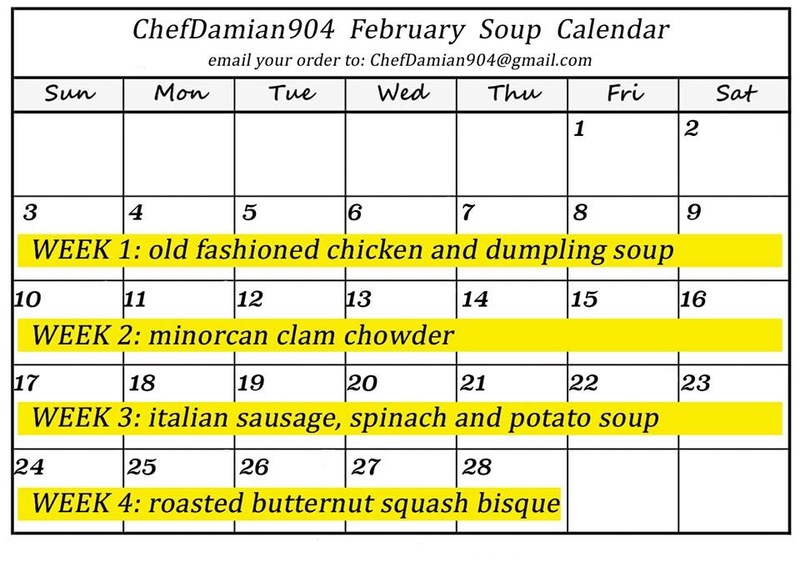 Here is a glance at next month's menu- if you order early or go on a regularly scheduled delivery service you will be guaranteed to get your favorite soup before it sells out. Once you try ordering from Chef Damian let him know if you heard about him from my blog and be sure to leave him a good review if you feel the same way so many of us do about his food! It is truly mmm mmmm great! You can follow me regularly on my blog's facebook page at https://www.facebook.com/asavoryspoonful.